Tony is the geek behind Physiopedia responsible for setting up and looking after the Mediawiki platform and dealing with all technical related issues. In his other life he is an e-learning developer and consultant who runs a small company called Webducate. Tony originally studied as a Mechanical Engineer completing a MEng and ultimately a PhD conducting research around quality management and innovation in small and medium sized engineering companies. During his time as a postgrad and lecturer at the University of Sheffield he became fascinated by the opportunities presented by the then new Internet, in particular how this could be used to support teaching and education. He decided to pursue this area in a change in career direction becoming an e-learning developer at the University of Leeds where he worked in a wide variety of subjects, roles and responsibilities including computer aided assessment, plagiarism detection, accessible multimedia, eportfolios, blogging, podcasting and delivering related staff training and support. On leaving Leeds he established Webducate to offer consulting and development services in online education and it was when exhibiting this company at the UK ALT-C conferences he introduced Rachael to this exciting and rapidly expanding world of Web 2.0 based online education which encompassed learning management systems, blogs, wikis, social media etc. This exposure led to many conversations about how the physiotherapy profession could benefit from these new technologies. These ideas led to the creation of appropriate solutions with the launch of first Physiospot (a blog highlighting clinically relevant research publications started in June 2006) and then Physiopedia (a collaborative platform for an online reference launched in 2009). 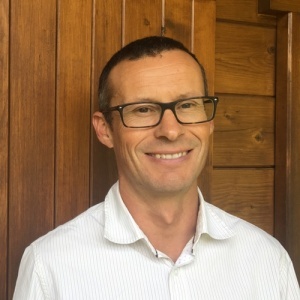 Now Tony works full time on the Physiopedia project where he combines skills with Rachael to direct and support the pedagogic and technologic development of the Physiopedia family of websites and services.